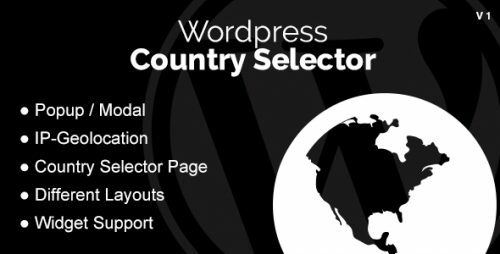 Add a Country Selector Popup or Page to your WordPress Site. Guide your users to your Country Specific Website translated in their language. Let us take this example: A User from Netherland visits your French site (e.g. www.site.fr) / shop. That should be no problem but you already have a Dutch translated Website (e.g. www.site.nl)! So why not show him? With this plugin a simple Country Selector Popup will show the user that there is a Dutch Website he can visit. Not a friend of a popup? Just show the user a simple “Choose your Country”-Widget in the Footer oder Header. This will bring the user to an Overview page with all your country specific websites. With flags, maps, continents!Saving the best for last: The content will be shown in the Users Language!